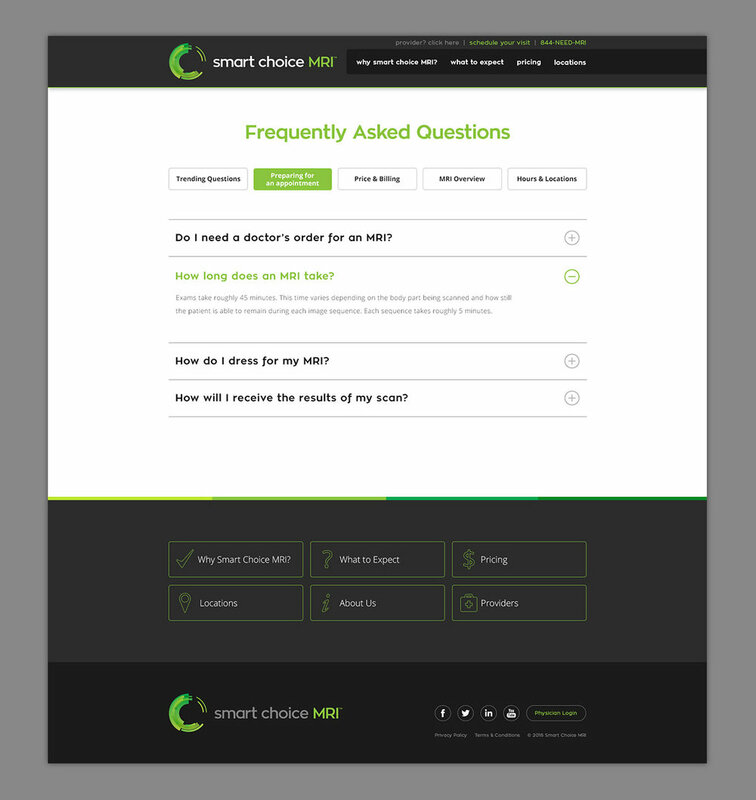 After completing Smart Choice MRI's rebranding efforts, we had the opportunity to overhaul their website. With the complete redesign, we streamlined the site down from its original 45 pages to 8. 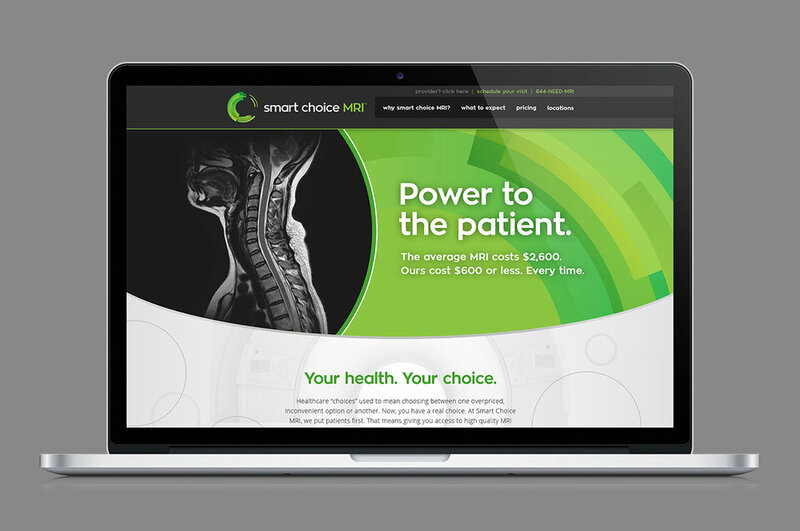 What we created was a simple, clean, and modern responsive web experience for all potential and returning patients.